It is that time once again to announce the Head of the Charles Regatta on October 20, 21, 22. On behalf of the American Red Cross of Massachusetts Bay I would like to invite you to join us once again this year as the ham radio support for this great event. If you agree to work a day, please plan on being there the whole time. it is very difficult to do a shift change in the middle of the day. For those who come from afar, we have allowed you to come in a bit late, but as you know, parking can be difficult and roads close early. 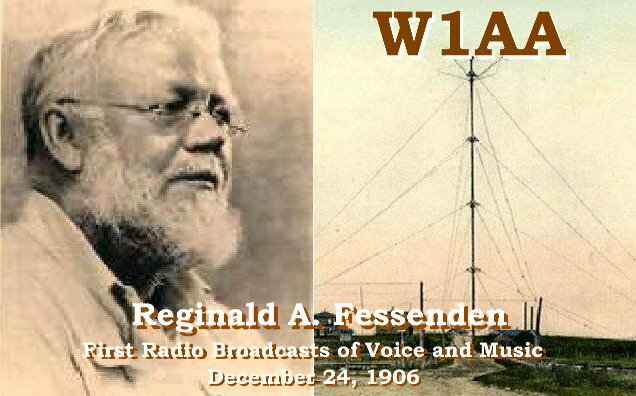 Amateurs will help commemorate the 100th anniversary of Reginald A. Fessenden’s first voice and music broadcast with a special events operation from the Governor Winslow House in Marshfield, MA on August 4, 2006 from 1500-2100 UTC. W1AA will operate on 7225-7270, above 14310, and on 17 meters, above 18150. The station will operate on cw 40 khz up from the bottom of the bands, plus or minus QRM. Stations contacting W1AA will receive a special commemorative QSL card. Please send a self-addressed, stamped envelope. Watch the DX Summit for W1AA Spots, at http://oh2aq.kolumbus.com/dxs/hfdx25.html. For further information, contact Dave Riley, AA1A at nmf.marshfield@verizon.net. N1DT and K1VV plan to activate Boston and The Graves Light under the call W1AA for the National Lighthouse Weekend 2006 on August 5, 2006 from 7:00 AM EST (1100 UTC) until about 5:00 PM EST (2100 UTC). National Lighthouse Weekend is held annually to promote public awareness of ham radio and lighthouses; to contribute to the recognition that lighthouses, lightships, and their keepers deserve. Morse code operation will be conducted roughly on the half hour, on 7035, 10116, 14035 and 18080 kHz, plus or minus QRM. The Graves Light is located in Outer Boston Harbor. It can be seen from points along the shore in Winthrop (Shore Drive), Hull (Nantasket Beach), and Nahant, but is best seen by boat. It was established in 1905. With a height of 113 feet, it exhibits two white flashes every 12 seconds. Its fog signals two blasts ever 20 seconds. Boston Light is located on Little Brewster Island in Outer Boston Harbor. The station was initially established in 1716. The current lighthouse tower was built in 1783. Constructed of stone with brick lining, the tower stands 89 feet high. The lighthouse flashes white every 10 seconds. Its fog signals one blast every 30 seconds. 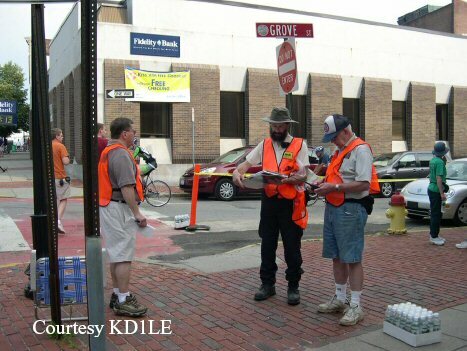 We are still looking for volunteers for the Lowell Folk Festival which runs from Friday, July 28th through Sunday, July 30th. A couple of people have signed up but we are looking for people for Saturday evening and Sunday. The Emergency Management “bus” will be used as a “station” for information, basic first aid and a general all around resource center. If you are available and would like to participate, please call Mark’s office at 978-459-5552 and leave a message with your name, your telephone number and what day and time you’d like to assist. You can also send an email message to Mark at mboldrig@ci.lowell.ma.us. 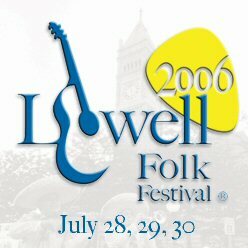 The Lowell Folk Festival web page can be found at http://www.lowellfolkfestival.org/. Tony Duarte, N1XRS is seeking volunteers to help with communications for the 5th annual Cranberry Country Triathlon in Lakeville on August 26, 2006. “I would like to have people there for 7AM as it starts at 8AM,” writes Duarte, who can be contacted via email at tdduarte@comcast.net. The Cranberry is based at the Ted Williams Camp on Rte. 18 in Lakeville, less than an hour from Boston. The swim goes around Loon Pond, the bike takes you over scenic roads and the run includes shady sections and plenty of water stations. For complete information on the race visit http://www.cranberrycountrytri.com/. Proceeds from the event will benefit the Ted Williams Camp, the Kiwanis Pediatric Trauma Institute, the West Bridgewater Drama Club and the West Bridgewater Music Club. 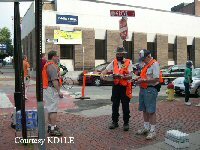 Members of the Nashoba Valley Amateur Radio Club participated in the Longsjo Classic in Fitchburg on July 2, 2006. The Framingham Amateur Radio Association has been officially renewed as a Special Service Club by ARRL Headquarters. “Through the work of its members, [Framingham ARA] is recognized for its continued efforts on behalf of Amateur Radio and services to its community.” wrote ARRL Club Assistant Rose-Anne Lawrence, KB1DMW in a July 20, 2006 letter to FARA’s President Gordy Bello, K1GB, Eastern MA Affiliated Club Coordinator Phil Temples, K9HI, Section Manager Mike Neilsen, W1MPN, and New England Division Director Tom Frenaye, K1KI. “Extraordinary clubs like FARA actively pursue all aspects of Amateur Radio: new ham development and training, public relations, emergency communications, school club support, technical advancement and operating activities,” commented K9HI. The June, 2006 EMA traffic net and Public Service Honor Roll totals have been posted to http://nts.ema.arrl.org under “Main Menu | STM Monthly Report“. The Harvard Wireless Club and the MIT Radio Society ran a joint effort in the IARU HF World Championship from W1MX on July 8-9, 2006. “We finished with about 1200 QSOs,” writes HWC member Clayton Nall, NF1R. 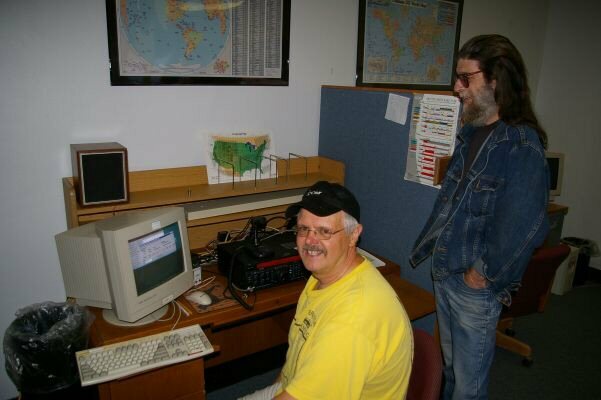 The joint operation saw participation by five operators at the W1MX shack at MIT in Cambridge. N1DT and K1VV plan to activate Clark’s Point Lighthouse (ARLHS USA 174) in New Bedford under the call W1AA on Saturday, July 15, 2006 from 10:30 UTC (6:30 AM EST) until 18:00 UTC (2:00 PM EST). Located at Fort Taber at the entrance to New Bedford Harbor and the Acushnet River, the lighthouse was originally established in 1797. The current tower, built in 1869, is not open to the public. The ARRL Headquarters web site carried a news story about SKYWARN activities during Tuesday afternoon’s severe weather in Eastern MA and other portions of New England. 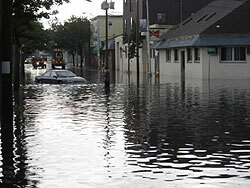 “An outbreak of severe weather in New England July 11 kept SKYWARN nets in Massachusetts, Connecticut and New Hampshire busy fielding reports of high winds, large hail, flooding and even possible tornadoes. Amateur Radio SKYWARN coordinators assisted with damage assessment well into the evening. More severe weather is forecast for today. -Parking available on Memorial Drive and in lot on Amherst Street. Wadsworth to Amherst, or Main to Ames to Amherst Street. The 2006 SKYWARN training session has been very successful to date and we look forward to having more trained spotters after these final two sessions in the month of July. Thanks to all for their continued support of the 2006 SKYWARN program. The Framingham Amateur Radio Association will offer bi-monthly VE sessions on a pre-registration basis beginning in September, according to FARA president Gordy Bello, K1GB. “If it appears that we have sufficient activity, then we will consider having monthly sessions with both pre-registered and walk-in candidates,” writes Bello. The sessions will be held on the second Wednesday of the scheduled month. K1GB requests all parties to please “spread the word.” Details of the sessions will also be posted on the ARRL website. Members of the USS Salem Radio Club have a new home for their club shack: the historic Watson Library and Research Center in Braintree. Thomas A. Watson founded what became the Fore River shipyard, but he is better known as the recipient of the first-ever telephone call. The Watson library was built on the site of Watson’s first shipyard building. Shown here: The new K1USN shack featuring (l-r): W1AY and K1RV. 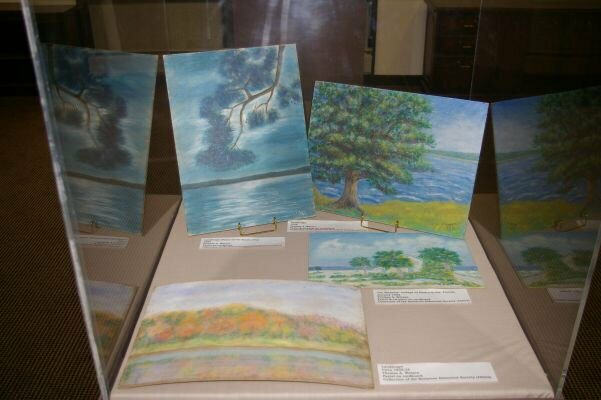 Also, watercolours illustrated by Mr. Watson, on display. Photos courtesy N1EY. I’m looking for anyone who remembers the shortwave station W1XAL in Boston. I’d like to write an article about it. I thought the Boatanchors group would be appropriate since there are a lot of older hams on it. No flames please. I’ve found out that W1XAL started transmitting on shortwave from 70 Brookline Ave in Boston in 1931. It broadcast educational and cultural programs by professors from Harvard, Tufts, BU, etc. In 1939, the station became WRUL. Later it became WNYW, then WYFR. It left Scituate in the 1970’s. I’d like any info on W1XAL that I can get. All I have is a photocopy of a QSL card. I’m just amazed that a shortwave station broadcast from inside Boston. (I was born and raised in Boston). (c)2006 W1GSL   http://www.swapfest.us        SASE for updated copy as issued.